In this tutorial, we will guide you on how to use Webcam Morpher 2.0 to change your webcam's background image to Valentine cute photos or decors. 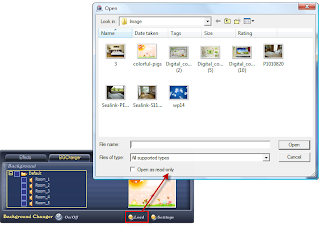 Open the AV Webcam Morpher and switch to BG Changer (background changer) module. - Explore the Default nickfaces list for more background images. - Select a background by checking on its name to. 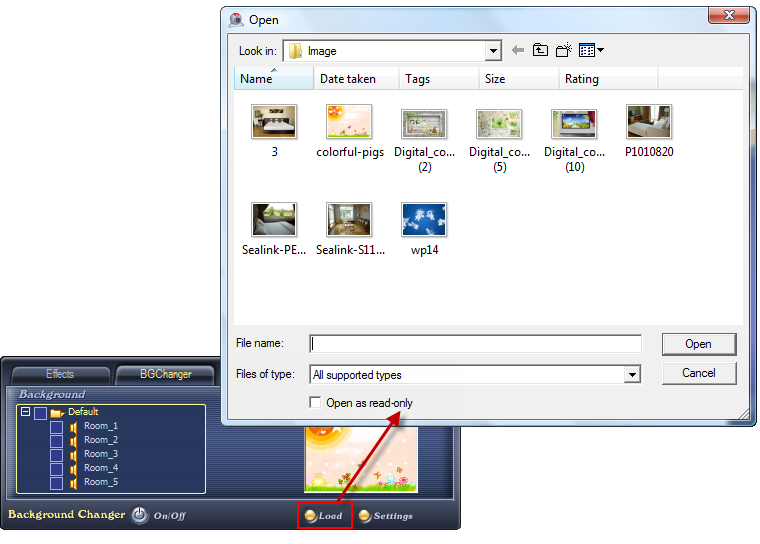 The previewed image always display within the Preview pane on the right. **Make sure that the Preview mode is on and at least one nickface is selected. ** The default nickface, “Helen”, cannot be used with the Background Changer. Click on the Load button and the Open dialog box comes up. - Browse and select your favorite background image. Now, you can start your video call with new background image. 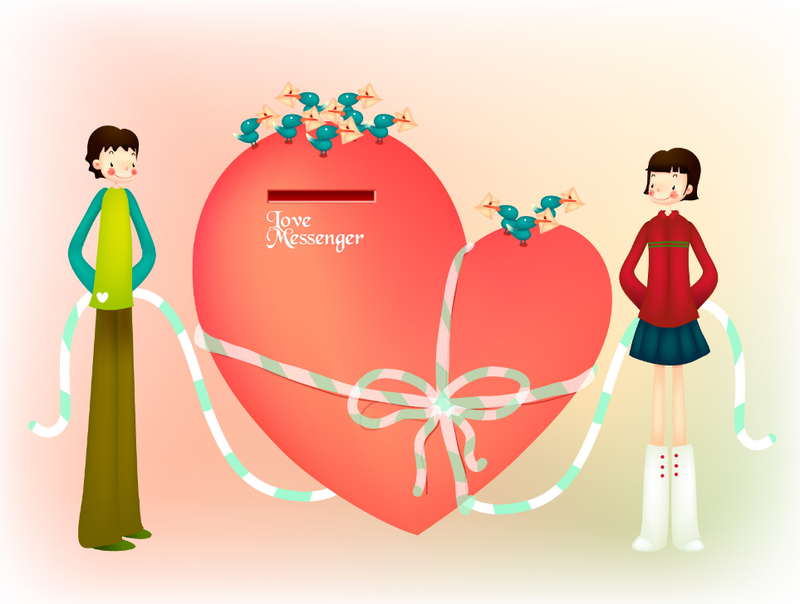 ** Valentine background packs are now available at Add on Store and are Free to download. ** Or you can use any image downloaded some from the internet. 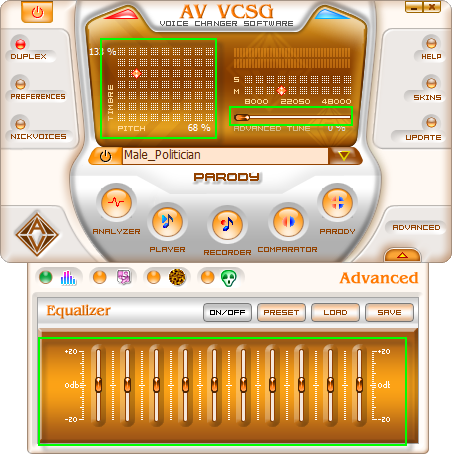 Make sure that at least one edition of AV Voice Changer Software installed on your PC. Then, click on the Nickvoice button within the Webcam Morpher's interface to open the voice changer software. Then choose any nickvoice are availabed on Nickvoice menu or move the cursor on the Pitch-Timbre graph to change the voice. ** Move the cursor toward the right side to have a more feminine voice or toward the left side for a more masculine voice. Move the cursor up to have a younger voice or down to have an older voice. ** To enhance the quality of the changed voice, use the Advanced Tune. Move this cursor gradually to keep up with the adjustment. Move the Advanced Tune to the left in case your morphed voice becomes unrealistic. - Or Adjust Equalizer or another special feature on Advanced pane.